WAKEFIELD, Mass. 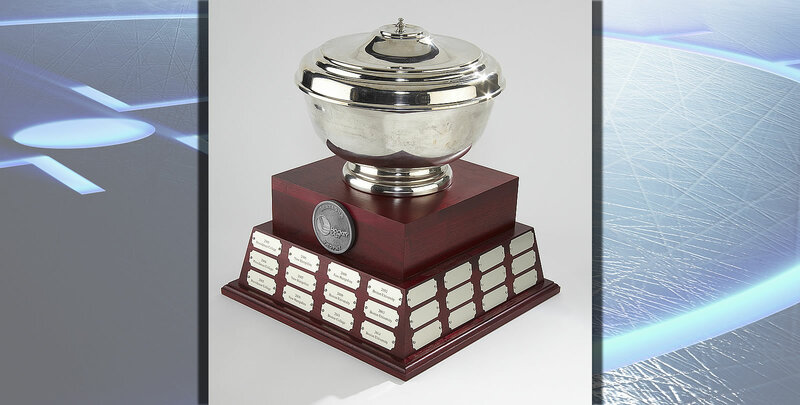 - Hockey East Commissioner Joe Bertagna has announced the third annual Bertagna Trophy Tour. The trophy, given annually to the Women's Hockey East Tournament champion, will appear at each of the 10 Women's Hockey East campuses, giving fans a close up look at one of the premier trophies in college athletics. A full schedule can be found below. "It's been an exciting year for the women's league and it is fitting that out tournament host, Providence, is in the thick of it," said Bertagna. "I'm looking forward to watching the march to Providence." The 2019 Bertagna Trophy Tour will be concluded prior to the 17th annual Women's Hockey East Championship, March 8-9. The regular season standings will determine the seedings for the 2019 Women's Hockey East Cham - pionship Tournament. The top eight teams will advance to the postseason, while the teams that finish in ninth and 10th place will not move on to the playoffs. The four highest seeds will host a best-of-three quarterfinal round series on the weekend of March 1. The four quarterfinal winners will then be reseeded for the semi final round on Saturday, March 9. The semifinal winners advance to the 17th annual Women's Hockey East Championship Game on Sunday, March 10. Additional information for the 2019 Women's Hockey East Championship Tournament, including ticket and television information, will be announced soon.